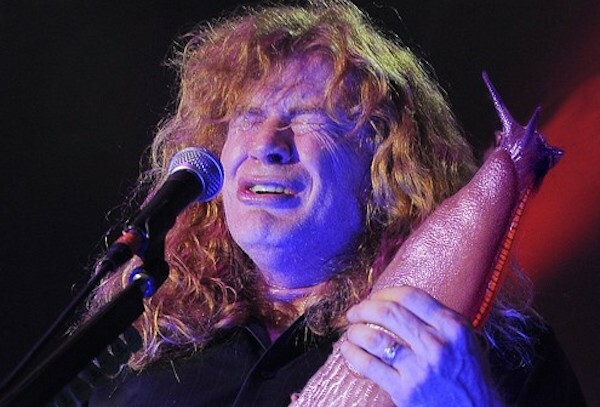 Whenever you watch a rock guitarist step up front and start their mind bending solo, you know you’re in for a visual treat. 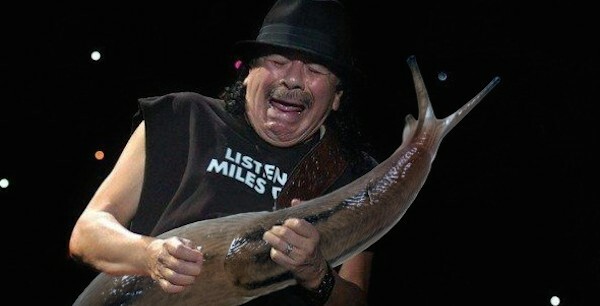 How about taking those guitar solo faces, and changing out the guitar for slimy giant slugs! 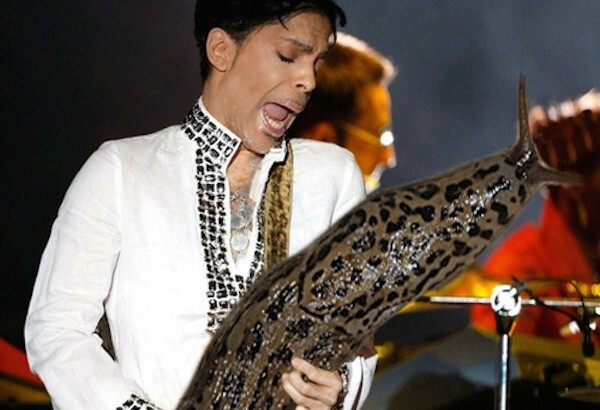 Brilliant and obvious? 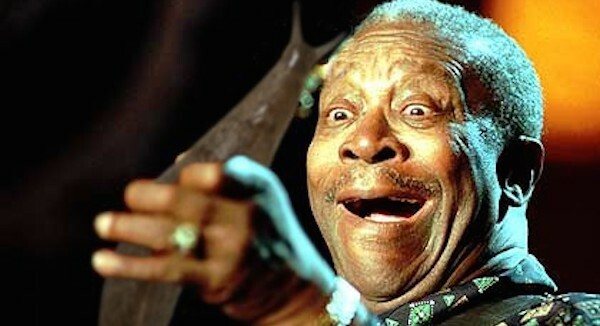 We think it’s just perfect for a few bar laughs. 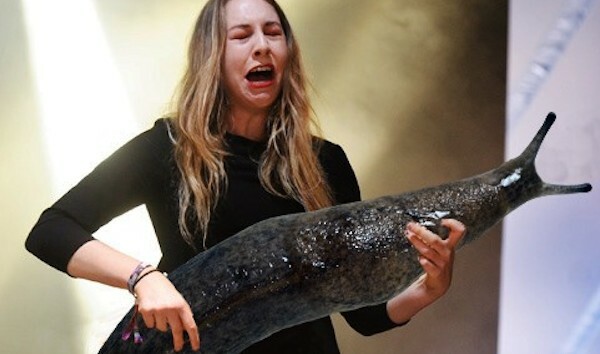 Few guitarists will survive this post unscathed, we’re warning you. 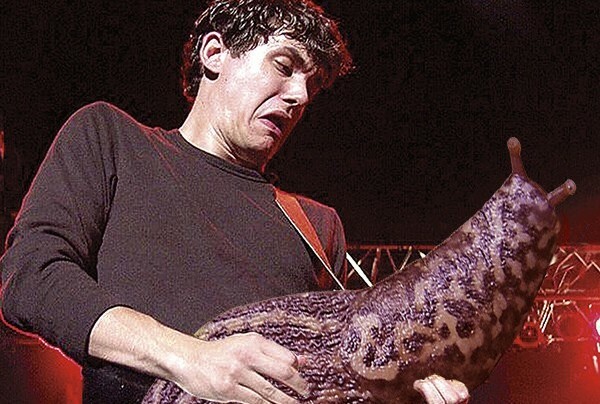 Next time you look up at a solo starting, you’ll be hard pressed NOT to remember these looks, and get a big laugh at their expense. 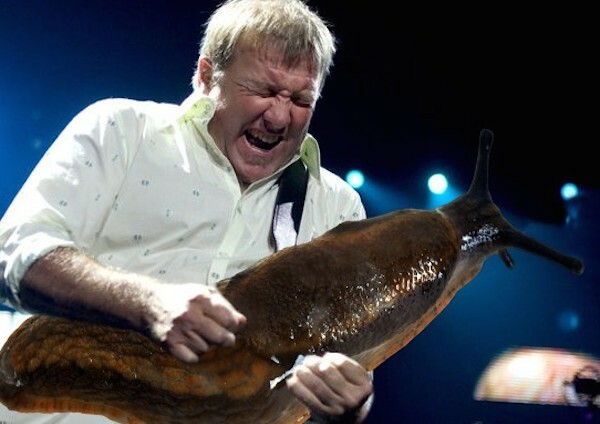 A blogger named Michael M. started this Guitarists with Slugs meme a couple months ago, but it’s really taken off recently. 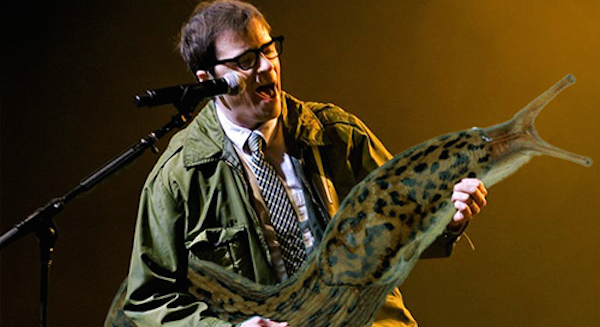 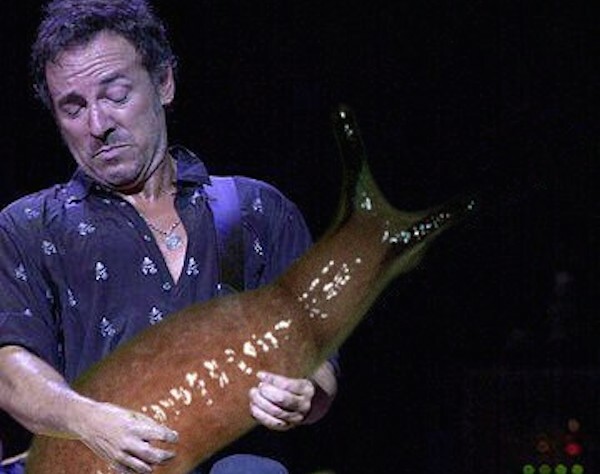 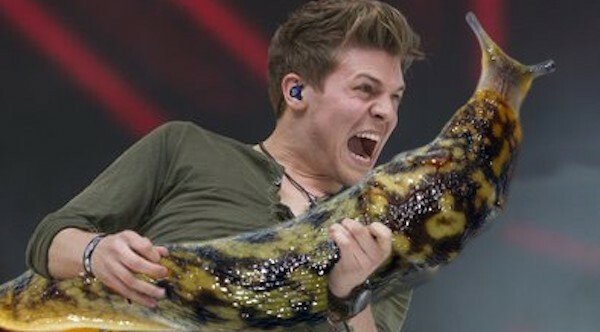 He replaces guitars with slugs, and the results speak for themselves. 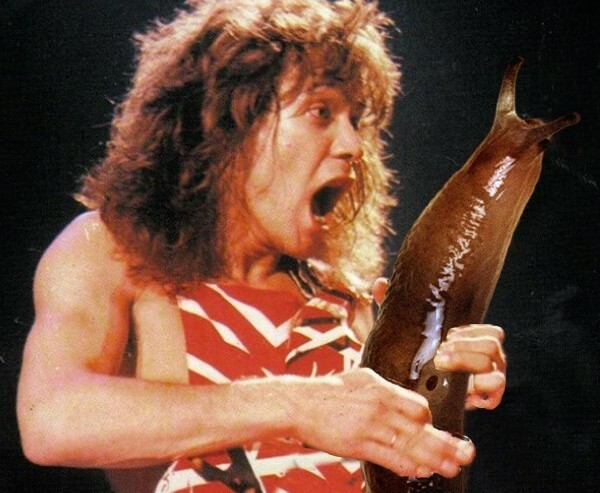 The genius is in the execution, and so without further babble, we leave you to partake in the wonderful world of Slug Solos.